Tai Chi ( pronounced tie chee) Chuan was created by the Chen family of the Honan province and has been passed down from generation to generation for over 600 years. The foundation of Chen Tai Chi Chuan theory on tai chi yin and yang principle means it can be active or passive solid or void. The chen sa chin (silk-cocoon energy) of Chen tai chi circles around the body’s meridian like latitudes around the globe. The circulation of chi blends with the open and closed, substantial yet insubstantial chin (inner energy), and is like the longitudes of the globe. These principles are incorporated into the hard yet soft, fast and slow movements of Chen tai chi: the body should be erect, the spirit of the inner energy should reach up to the head, the breath should be natural, and the chi should sink to the tan tien. This fulfills the inner circuit. Chen tai chi contains both hard and soft motions. It can be fast or slow, offensive or defensive, neutralizing or forcefully overpowering. It is a miraculous martial art that also emphasizes using the mind to cultivate chi through abdominal breathing. 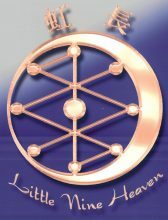 Its goal is to promote good health, to heal or prevent sickness and achieve happiness along with self defense capability. 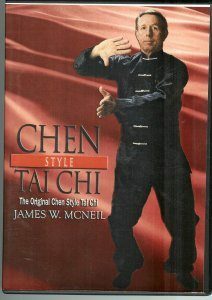 Since its creation, the Chen style of tai chi has been modified and enhanced. Its present day forms are the product of hundreds of years or refinement. The first routine has thirteen main postures and three major variations: old style, new style, and small style. The second routine is called pao twi, which means “cannon fist”. This routine has no variation and remains in its orginal form. In addition Chen’s tai chi also has two-person push hands and single and two person weapons forms. Chen style Tai Chi (pronounced ‘tie chee’) was developed over six centuries ago by Chen Pu from the Chen village in Wen county, Huh Nan province. 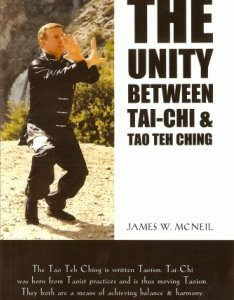 Other styles of tai chi have their foundation within the original Chen style. The lineage of the Chen style is displayed below. Master McNeil was taught by Master Pan.